Fiji is one of few places where you can enjoy champagne tastes on a beer budget. Many of Fiji’s best accommodation, dining and activities attract price tags that will leave you wondering ‘is that all?’ One of the best examples of this is Crusoe’s Retreat, a relaxing resort on Viti Levu – the main island. Surrounded by 4 hectares of tropical gardens, the resort is set directly on the beach and is right next door to a traditional Fijian village. Traditional Seaview Bures are fantastic value for money and the resort offers an excellent range of complimentary activities including kayaking, snorkelling and even scuba lessons. The breakfasts on offer at the resort are quite sizeable and if you’re swimming and snorkelling your days away, you won’t want anything heavy for lunch. Visit Bulaccino Café in Port Denarau for some of the islands best coffee as well as cheap and cheerful light lunches. The sausage rolls here are to die for. As you make your way around the island keep an eye out for a ‘Fijian drive thru’ which is basically just a roadside BBQ but the hot corn is delicious and makes a great snack on the go. The resort offers a great range of activities for free, however if you’re looking for something a little different that doesn’t cost a fortune you can’t go past hiring a bike. For less than $20 you can hire a bike all day and explore the island. The 20km ride from the hilltop comes highly recommended. It’s a particularly scenic route and the good news is you don’t have to ride to the top first, transport is arranged to get you there. For those with a little extra cash to splash, treat yourself to a stay at the famous InterContinental Fiji Golf Resort and Spa on beautiful Natadola Bay. Everybody loves the 5 bars and restaurants, 3 pools, day spa, 18-hole golf course and huge range of water activities but families in particular will love the spacious room configurations. Complete with balconies which boast day beds and baths, the suites are large enough that parents can share with their kids and still have their own space. Enjoy high end views with a more reasonable price tag at the Indigo Indian and Asian Restaurant on the Port Denarau waterfront. Boasting an eclectic menu, the restaurant is famous for its Singapore curries and signature mud crab. Foodies will favour gourmet masterclasses at the Sheraton’s Flying Fish Restaurant while families flock to the Big Bula Inflatable Water Park where, for under $50, you can enjoy a wonderland of giant waterslides, wave surfing and large, inflatable rides. 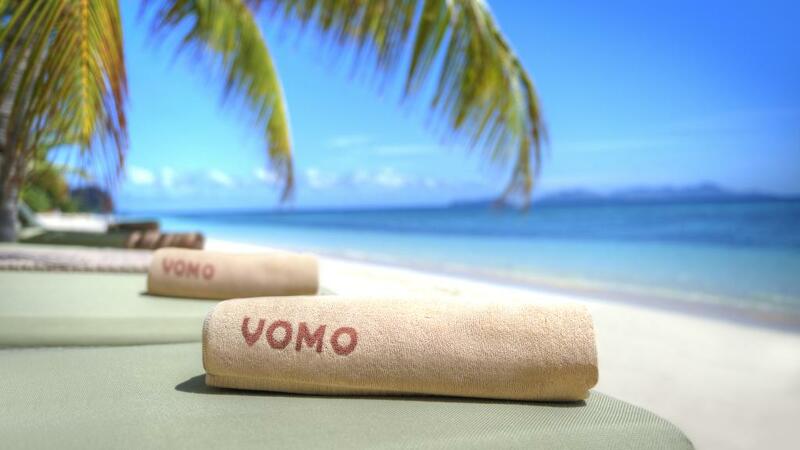 They say money can’t buy you happiness and while that may be true, it can buy you a wonderful holiday at Vomo Island Resort and that’s sure to put a huge smile on your face. 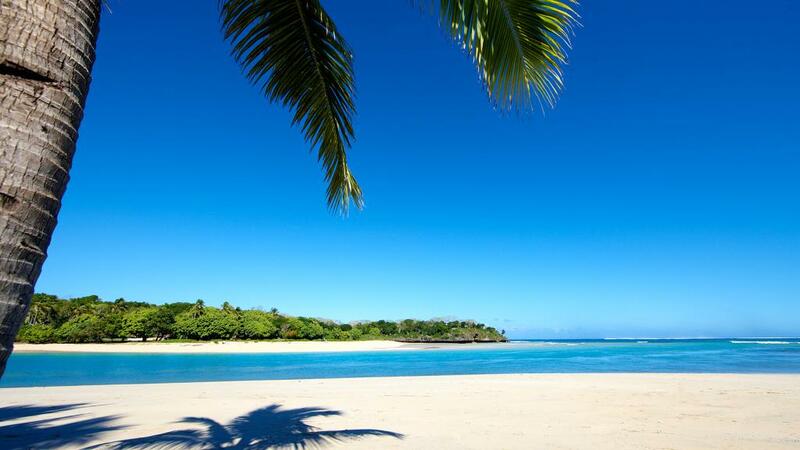 One of the most luxurious resorts in Fiji, the private island resort is just 15 minutes from Nadi by helicopter transfer. Offering all-inclusive villas and residences with 24 hour butler service, each accommodation enjoys its own Jacuzzi, private deck and laundry service. The activities on offer a similarly top end, including a charter transfer to the deserted island of Vomo Lailai where you can enjoy a romantic picnic for two. Everything at Vomo is 5 star including the dining, however if you feel like venturing out to try some of the other primo options around Fiji you can’t miss dinner at the InterContinental’s Navo, an exclusive high end fresh seafood dinner in an unforgettable setting. In Port Denarau, the Sheraton’s Flying Fish Restaurant by Peter Kuruvita is sure to wow you. There’s plenty on offer at the resort to knock your socks off, but if you’ve got the cash to spare you can dive with sharks, if you dare. If you’d rather not get up close and personal with a man-eater, get up close and personal with the spectacular views of the Yasawa Islands from the comfort of a scenic helicopter flight. Sweeping over the spectacular views of the southern region you’ll take in dramatic gorges and the cascading Evans Range.